Every year, we put together fun Valentine’s Day treats for my son’s classmates. I love finding free printable school Valentine cards to include. This year, we are going to include these FUN donut and fruit Valentine’s Day printable cards from Painting Paris Pink! Aren’t they just darling?! They are the perfect Valentine for your children and their friends this year and they are FREE! You can’t get much better than that! 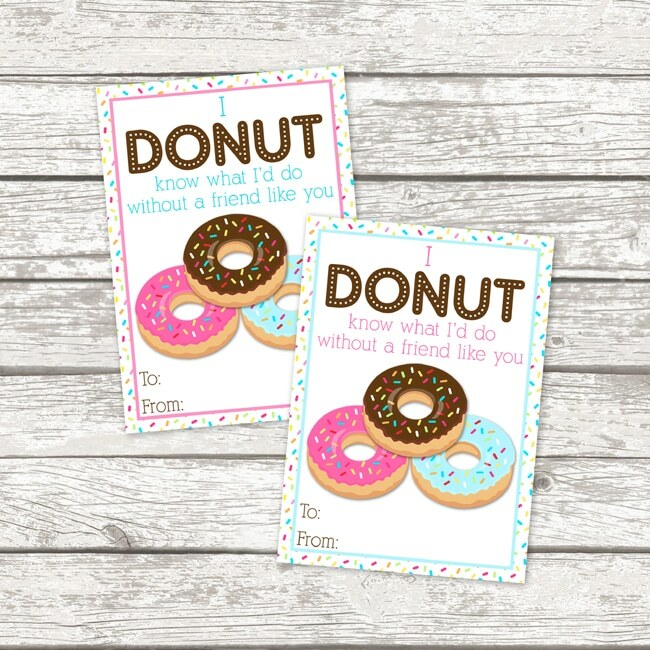 With cute sayings like, “I DONUT know what I’d do without a friend like you”, your valentine will absolutely love this sweet card. 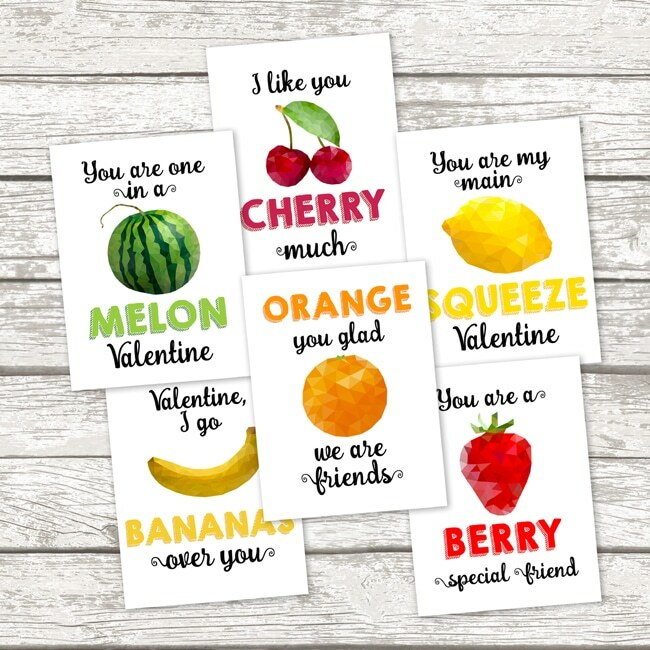 The fruit Valentine cards also have fun and clever sayings including, “You are one in a MELON Valentine”, You are my main SQUEEZE Valentine, and more! Your child’s classmates will LOVE receiving these cute and clever Valentine’s Day cards with whatever treats you may be sending in to class. If you use these free printables with your Valentine treats, be sure to tag us in your photo on Instagram @prettymyparty @paintingparispink. *These free printables are best printed on thick cardstock paper. 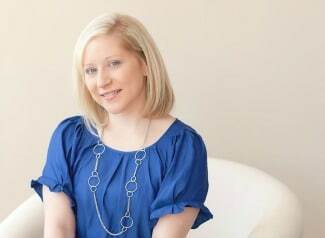 Don’t miss these other Valentine’s Day features on Pretty My Party!